NEET SS Medicine will be the single gateway to all DM Medicine Super Specialties. NEET SS 2018 specialty branches are as follows: Clinical Hematology, Pulmonary Medicine, Nephrology, Medical, Oncology, Medical Gastroenterology, Cardiology, Neurology, Rheumatology, and Endocrinology. There will be no separate exam for each of these branches. Only one NEET SS Medicine exam will be conducted and all the branches will be awarded in a joint counseling process according to the merit list. NEET SS Medicine will be MD Medicine exit level and will contain questions from all these specialties. At the end of Registration & Scheduling process, the applicant will get a computer generated acknowledgement at the registered email id of the applicant. NEET SS Admit card 2018 will be issued to candidate once registration & scheduling process is successfully complete. When the admit card is received by email, it should be read carefully and all information mentioned should be verified. Candidate is required to print a copy of admit card and affix a latest passport size photograph of the following specifications on the admit card. Photograph should be taken in a white /very light colored background. The photograph needs to be printed on a high quality paper with at least 600 dpi Resolutions. Candidate is required to bring the admit card to the Test centre. NEET-SS 2018 Specialty Specific Percentile is the percentile of the candidates in a particular Post Graduate specialty in which they appeared for the exam. Specialty specific cut-off score is – score obtained by the candidate at 50th Percentile in a particular Post Graduate specialty. Common Counseling for admission to all DM/MCh will be done at National Level by Medical Counseling Committee (MCC). Candidates who have scored below specific cut-off scores in their respective specialty are not qualified to take part in counseling. 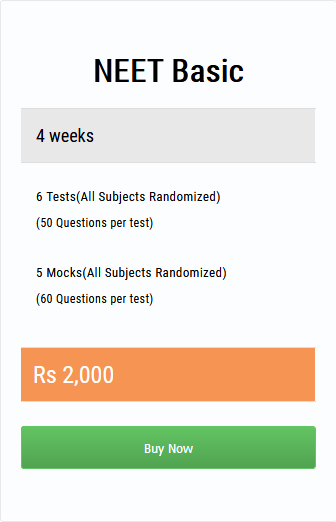 Candidates are requested to get their Admit cards at the time of counseling also. The specialty specific cutoff scores are determined as per minimum qualifying percentile as prescribed NEET-SS 2018 Information Bulletin. Selected candidates can send their queries regarding counseling, if any, through email @ aiqpg-mcc@nic.in. For more information regarding DM/MCh admission process, counseling schedule, instructions, admit card etc. candidates are advised to stay in touch with MCC website (http://www.mcc.nic.in/) and Ministry of Health & Family Welfare website (http://www.mohfw.nic.in/).